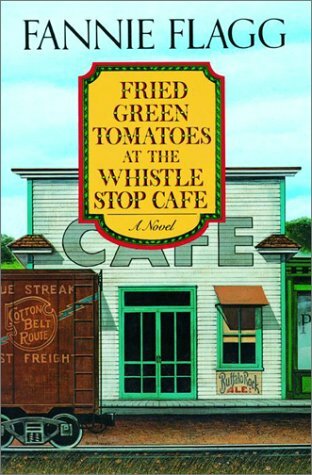 Welcome to the March roundup of Fried Green Tomatoes at the Whistle Stop Cafe by Fannie Flagg. Please leave your book review links below in the linky. Please check back periodically to check out the other links to see what other members have to say and leave them a comment.I hope you enjoy the book! Also, suggestions for April’s book can be left in the comment section. This entry was posted in Book Selections on March 2, 2016 by Vicki. Hi everyone! I’m Vicki from I’d Rather Be At The Beach. Sarah has graciously passed The Kitchen Reader over to me. I’ve switched things up a bit, so if you’d like, check out “About The Kitchen Reader” for what’s changed. Since there’s not much time to gather suggestions for March’s read, I’ve decided to choose one that I hope you’ll be excited to read and join in. I’ll post on March 1st with a linky so you can add your review link anytime throughout the month. Please come back and check out the other reviews, we all love comments. I hope you’ll join me in reading this book. It’s been on my list for a few years and since it has such great reviews, I thought it would be a good choice. Plus, since it’s an older book, it shouldn’t be hard to find a copy at your library (I just put a hold for it at mine), or you should be able to buy a copy pretty cheap. This entry was posted in Book Selections on February 24, 2016 by Vicki. Our October book was Yes, Chef: A Memoir by Marcus Samuelsson and Veronica Chambers, chosen by Amanda of Omar Niode Foundation. We just had one review this month! Our November book is The Art of Simple Food by Alice Waters and in December, members may review any cookbook or food-related book. This entry was posted in Book Selections on November 1, 2015 by thekitchenreader. Our October book is Yes, Chef: A Memoir by Marcus Samuelsson and Veronica Chambers (chosen by Amanda of Omar Niode Foundation). Please join in by posting a review in the last week (or on the last day) of October and check back here for a round-up on 1 November. This entry was posted in Book Selections on October 23, 2015 by thekitchenreader. Our September book is Lunch at the Shop: The Art and Practice of the Midday Meal by Peter Miller (chosen by Emily of Highly Social Media). It includes recipes and urges us to make lunch more intentional. Emily convinced us by saying it’s a great read celebrating communal eating. Please join in by posting a review in the last week (or on the last day) of September and check back here for a round-up on 1 October. This entry was posted in Book Selections on August 30, 2015 by thekitchenreader. In August we are reading Relish: My Life in the Kitchen by Lucy Knisley. It’s a graphic memoir by a food-loving cartoonist. I hope you will join in and read it in August. Post your review on the last day (or in the last week) of August and look back here for a round-up of all the reviews on the first day of September. The Kitchen Reader is an easy-going, small group of bloggers who read and review food-related books. Anyone can join! Have a look at the About Our Group page for more information. This entry was posted in Book Selections on August 2, 2015 by thekitchenreader. Our May book was Food: A Love Story written by the comedian Jim Gaffigan, chosen by Vicki of I’d Rather Be At The Beach, Stephanie of Kitchen Frolic, and Pech of Pechluck’s Food Adventures. Here is a list of our reviews. Our June book is The Third Plate: Field Notes on the Future of Food by Dan Barber (chosen by Melissa of Melos bookshelf and Emily of Highly Social Media). Please publish your review on the last day (or in the last week) of June and include links back to the Kitchen Reader, Melissa, and Emily. Come back here on 1 July for a round-up of our reviews. We are a friendly group of bloggers and would love to welcome new members. Get in touch by emailing kitchen reader dot blog at gmail dot com. This entry was posted in Book Selections on June 1, 2015 by thekitchenreader.